Hope all is well. This is about a special new project we are introducing. 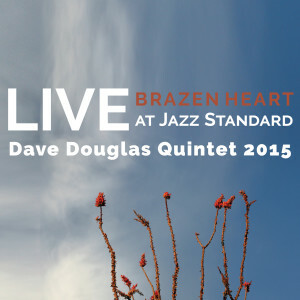 I love my current Quintet 2015, with Jon Irabagon, Matt Mitchell, Linda Oh, Rudy Royston. Many of you have heard us recently. I have decided to record the entire run at Jazz Standard (more info and tickets here) from November 19 to 22 and make ALL 8 SETS available to listeners on Tuesday, November 24. You can get really cool advance pricing by ordering now. Preorder the whole run (8 X 60 minute sets). Or join Greenleaf, my label, as a Level 3 subscriber and get this series as well as all the other exclusive content from 10 YEARS of Greenleaf’s special projects. All downloads will be high quality, and DRM free, to own and enjoy at your leisure. They will come with cover art and information. I believe this band is in the midst of an important and revolutionary run — playing four albums worth of material from memory — and artistically I need to document it. And I urge you join us and drop into the club for a listen. Subscribe at Level 3: $125/year. Download all 8 sets, plus all the benefits that come with subscription, like exclusive downloadable content, additional discounts and complimentary tickets.